If you’re looking for something a little different, why not consider our vintage fleet! 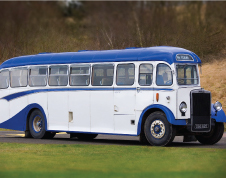 Our vintage vehicles are owned and operated by our sister company Stagecoach in Fife and are part of an eight vehicle fleet of coaches and double deck buses kept active as part of the company’s heritage. All are available to hire for special events, such as parties or weddings, or your very own private tour. The vintage fleet consists of 3 coaches, 3 double deck buses and 1 open top bus. For more information on the vintage buses and coaches available for hire please see full information on the Stagecoachbus.com website.